Published on Feb 6, 2019: Spring walleye fishing on the Peshtigo River near Green Bay with Eric Haataja. Incredible Wisconsin walleye fishing that happens every spring when fish move up into the rivers to spawn. 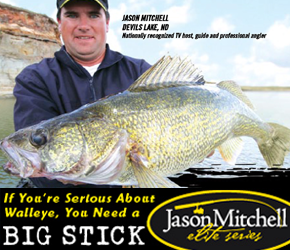 Casting jigs and soft plastics to catch big walleye. Walleye fishing video that explains how to fish rivers early in the spring to catch walleye that are moving back out of the river after the spawn. Tips on using tungsten jigs in current and explanations on why soft plastics are so effective for river walleye. Tips on boat control in the current and how to use your trolling motor and spot lock in conjunction with the Lowrance Side Scan to find and catch fish. 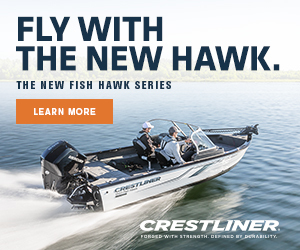 Destination that produces some big walleye with some fish over thirty inches caught each spring.